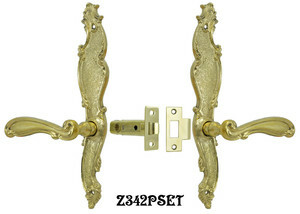 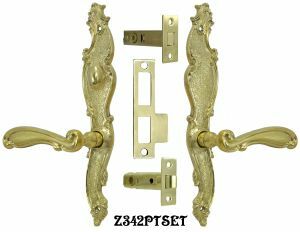 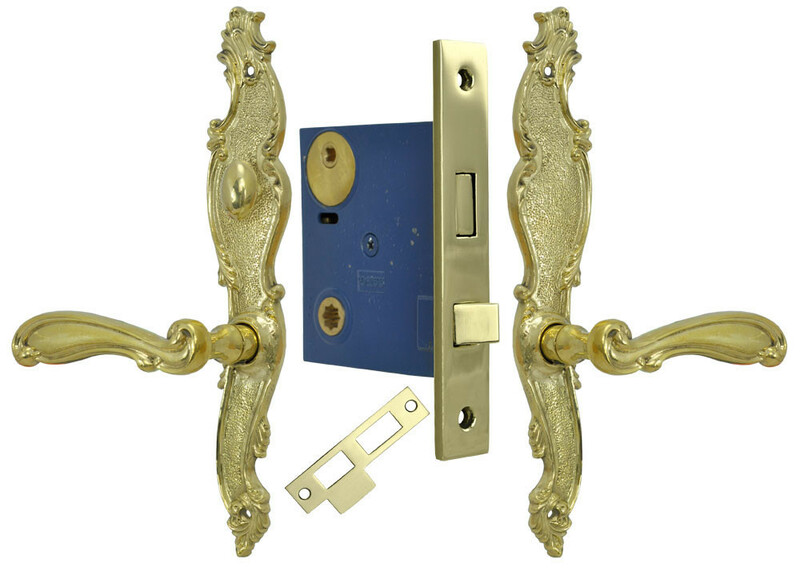 This sinuous French doorplate and lever handle set is a nice size for doors with narrow stiles. 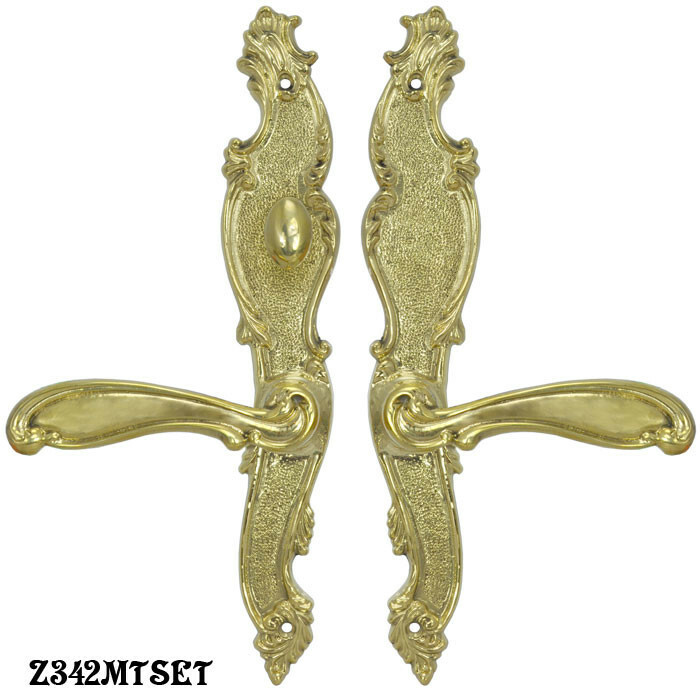 Solid yellow brass, with fine details retained through lost wax casting. 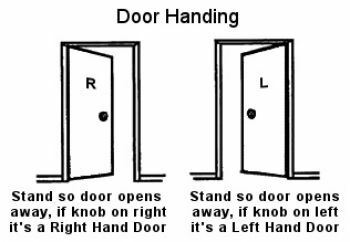 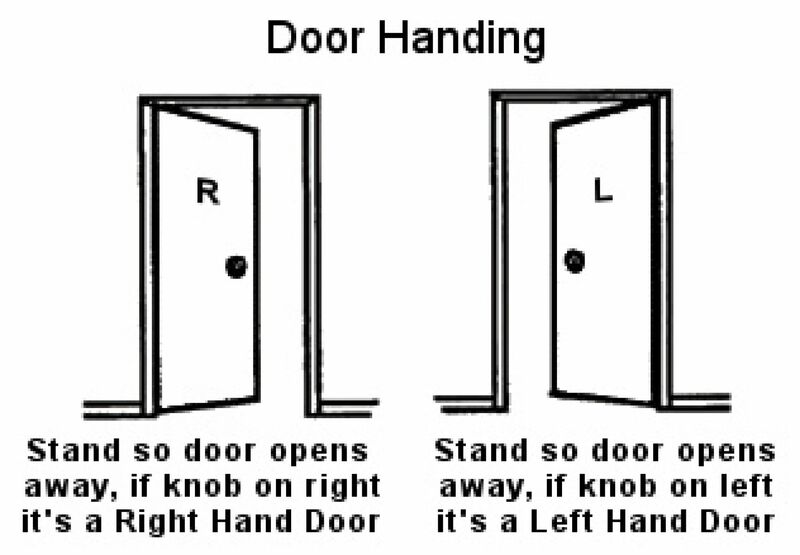 The lever handles are a popular choice for ADA regulation entries. 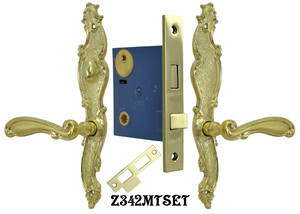 This door set is hand finished in a choice of any of the five finishes listed in the "Options" menu above. Lever Handles: 4 3⁄8" handle length x 1" wide; each projects 2 1⁄8".